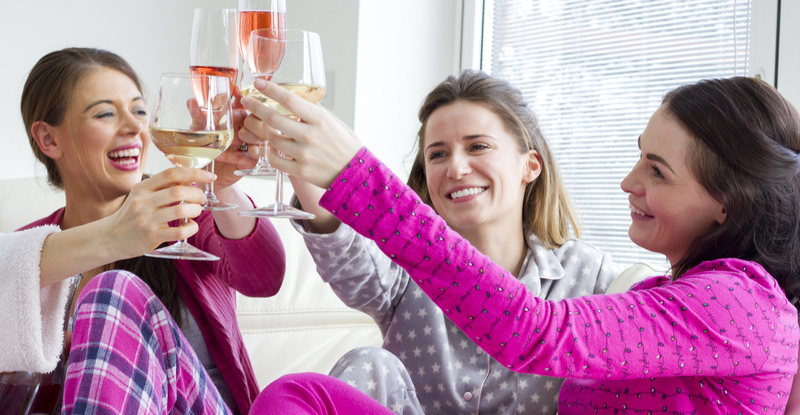 Pamper parties are a great excuse to invite the girls round for a girls night in and have a giggle with some bubbly! This is a very relaxed and informal evening and the opportunity to have some fun with your friends. Pamper parties are perfect for Christmas celebrations, Birthdays, Hen parties, Baby showers, Divorce parties or just a good old fashioned girlie night in. This is perfect if you if you are fairly confident in applying your make up and would like just like the opportunity to try something a bit different and be pampered. This option is perfect if you need a bit of help in the world of make up. I will go through the whole process of applying make up in a step by step lesson. We will start at skincare and work our way through to lips. We will tailor a look specifically suited to you and your capability. We can either use your own make up and brushes if you like or I can use products from my extensive kit sing well known brands such as MAC and Laura Mercier, and you will learn helpful techniques and the tricks of the trade. You will go away with a step by step face chart so that you are able to recreate your look at home. Lessons take approx. 90 minutes per person. * Lashes are an extra £5 pp. ** Bubbly is provided & travel is included in the cost. I will require a 25% non refundable booking fee and time of booking which will be deducted from the final cost to be paid on the evening.